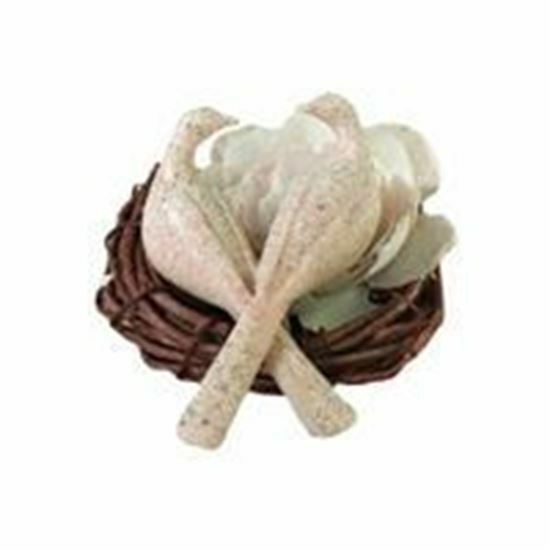 Decorate the wedding cake with this charming doves cake pick. With a stylish faux stone finish, this resin cake pick shows a pair of doves sharing a loving glance. This is a single piece -- the birds are connected to each other. Size: 1.5' x 4.5' with a 1.5' long pick. Also available in a white finish.